Physical therapies are commonly used to treat various issues. Nowadays, a new technique is being used by the experts. 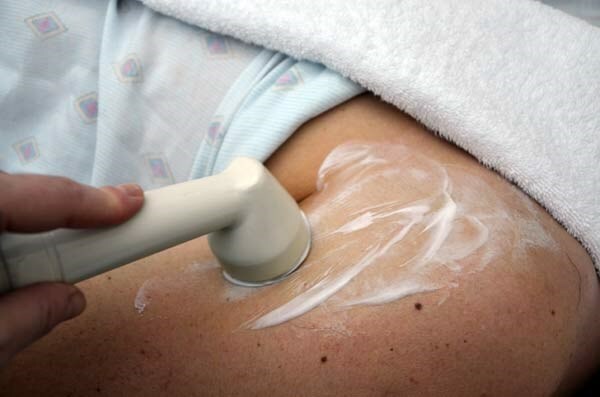 This technique utilizes ultrasound to produce therapy effect. This technique is based on a complete philosophy which enables the experts to improve the absorption of drugs. No doubt, ultrasound technology is mainly used for diagnoses of diseases and malfunctioning in the body organs but it has an excellent feature of quick absorption. The rays present in this machine go deeper inside the body without any problem. This creates an inside view of organs and their functioning. This has enabled the technologists to develop a modern technique known as Phonophoresis. Phonophoresis is a procedure in which ultrasound is used to improve the delivery of drugs applied topically on the body of patients. The basic idea of this technique is associated with the absorption of ultrasound rays. It is believed that these ultrasound rays could bring the chemical agents deeper inside the pores of skin. No doubt, there are several studies and cases proving the potential of Phonophoresis in the field of physical therapy but it still needs improvement. Experts are conducting research trials to determine the progressive factors. The main emphasis is being paid to find the accurate rate of rays for physical therapy. Based on ultrasound technology, the Phonophoresis is a modern technique developed to enhance the efficacy of drugs applied to body. There are several types of drugs or medicines used externally on the body to treat various infections. It has been noticed that quicker absorption of these drugs in the body could give excellent results to cure the issue. According to the modern literature, the Phonophoresis is very effective to control several types of infections such as allergies. Today, it is very easy to improve the efficiency of drugs being applied topically on the body. However, this technique needs more improvement. Numerous studies have been organized by various organizations worldwide. The studies were aimed to see the beneficial as well as side effects of the Phonophoresis on patients. According to the published reports in various medical journals, this technique was found harmless in most of the cases. Minor side effects were noticed in the tests especially when the treatment was used frequently. Application success rate was high in all the reports. According to the physicians or radiologists, there is no need to utilize the same application of ultrasound to absorb the topically applied drugs. However, there are some opinions going against the use of this technique. The good news is that these negative opinions are not because of the side effects. According to second opinion, this technique is useful with a limited number of drugs. It has shown no positive effect with several drugs such as anti-inflammatory and analgesics. This makes the Phonophoresis a limited opportunity for the physical therapies. Studies are under process and scientists are working in order to learn more about the relationship between drug category and ultrasound therapy. Phonophoresismay may cause toxicity of drug because it induces trans-dermal drug delivery system so, all drugs that have narrow therapeutic index must not be used for phonophoresis. medium mediated. Iontophoresis is most commonly used for delivery of NSAIDS ( non steroidal anti-inflammatory drugs). Physical therapists and occupational therapists often adopt this kind of drug delivery system for prompt response. Phonophoresis is a procedure in which ultrasound is used to improve the delivery of drugs applied topically on the body of patients. The basic idea of this technique is associated with the absorption of ultrasound rays. It is believed that these ultrasound rays could bring the chemical agents deeper inside the pores of skin.